The number one selling size spreader! Introducing the newest and smallest member of the family. 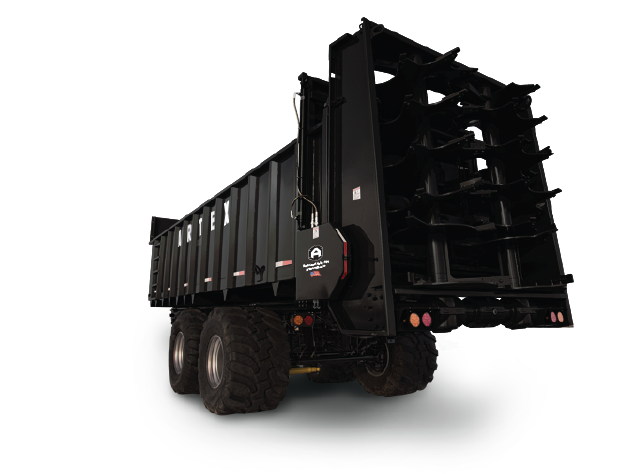 Our SB Series manure spreaders are built with the small farm in mind. Its height makes it perfect for a skid loader to easily load and a width that has no problem getting through narrow gates or barn allies. If you want pure power, this is the manure spreader for you! 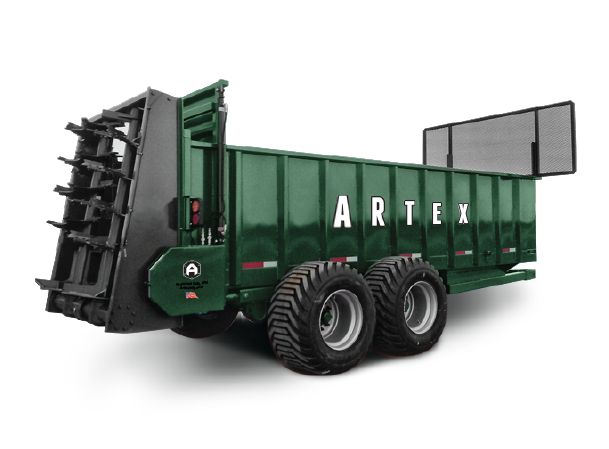 Its large box is perfectly designed for easy filling with a payloader while it’s wider axels and beaters give this manure spreader maximum stability, even on steep hills, and superior spread pattern, like a rainbow…only made of crap. You can’t go wrong with this series! Whether spreading manure is what you do for a living or you just have a ton of land the CB Series manure spreader will get the big jobs done. Hydraulic breaks relieve break load from the tractor making hauling that much crap safer in greasy conditions. Our oversized tucked tire system minimizes ground compression while still making highway transport safe and easy from site to site. 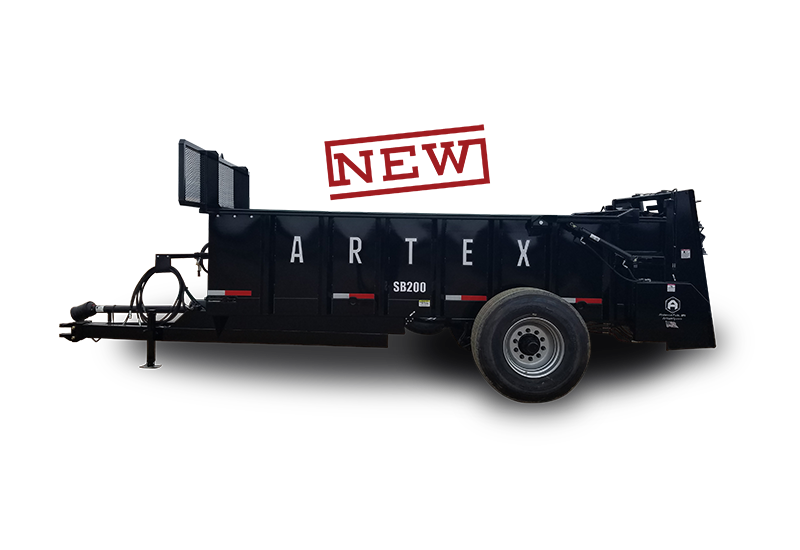 The steerable axels reduce tire wear and relieve the pressure on the axels all while maximizing field maneuverability and minimizing berming. Last, but never least, the heavy-duty CB gear box was built for the heavy load. Don’t waste time reloading smaller spreaders for the big jobs…get the job done sooner with the CB series.